ROME – Italy is offering new tax allowances for hiring young workers, as a step to reversing the country’s two year economic plunge. Late on August 8th the the Italian Chamber of Deputies voted on and approved two tax changes aimed at simultaneously tackling the country’s skyrocketing unemployment rate, and at kick-starting a new economic growth, following eight consecutive quarters of economic contractions. The government will now offer a new tax allowance to any business providing a full time position for at least 12 months to a worker under the age of 30 who has been unemployed for at least six months. The new program will cost the government EUR 794 million over the next three years, and will grant qualifying employers a tax allowance of up to EUR 650 per months per employee. The incentive package was first proposed in June by the ruling coalition, but the proposal has undergone significant revision and scaling back since it was first announced, as the government originally intended to put more than EUR 1.5 billion of funding into the program. 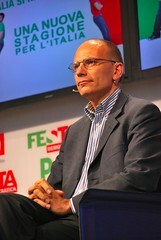 Since the first announcement of the tax allowance, the Prime Minister of Italy Enrico Letta has maintained his opinion that lowering the unemployment rate among the young workers should be a top priority for country, as more than 42 percent of people under 30 are currently without jobs. In an effort to encourage economic growth and consumer spending, the government also approved a delay to a planned 1 percent hike to VAT, which was scheduled to come into effect at the start of this month, but is now delayed until October.